… but at least you can avoid mine! First month on a new job I wrote some perfectly fine code, except that it crashed every single night—taking our biggest customer offline. Later I designed a tool to make those ops engineers’ life easier. It took a whole extra year after I was done to deploy it—because I’d neglected to get ops’ feedback on how it should work. I once accepted a job offer, only to discover soon after that I was massively underpaid. Another time I failed at starting a startup, because I fell in love with the code and ignored what potential customers were telling me. And these are just some of the mistakes that I’ve made. I learned an important lesson from each mistake, but this was an embarrassing, expensive, and painful way to learn. What if you could skip the painful mistakes and jump straight to the learning? I greatly enjoy your Software Clown series. In particular I appreciate that your stories focus on actual events that occur in real day-to-day life as a coder. This is in stark contrast to many of the stories distributed on e.g., Hacker News, which tend to focus on truly exceptional cases not applicable to most actual software projects. Hi, I’m Itamar Turner-Trauring, and—at least in theory—I’m a software engineer. On paper I have a pretty decent resume: I’ve worked on open source projects used by Apple, Cisco and many others. I’ve worked on software indirectly used by millions of people. I’ve worked as a product manager for Google, I’ve co-founded a startup, and worked for a few startups too. 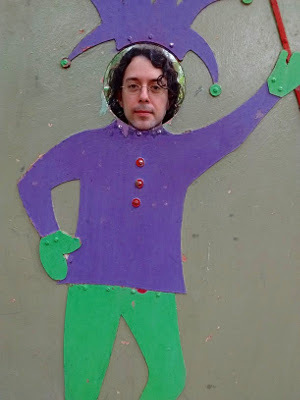 But some days I feel more like an involuntary software clown, spending my days slipping on banana peels, being hit in the face with whipped cream pies, and riding little teensy bikes around and around in circles. “Potential scaling challenges” is a polite euphemism for “did not scale at all”. But the important point is that I learned something from Madhuri, who has 15 years of experience building distributed systems at VMWare and Oracle. You can avoid my mistakes! Are you reading @itamarst’s “Software Clown” newsletter? If not, you should be. There’s a gem in every issue. Subscribe to the Software Clown mailing list, and every week I’ll send you an email with one of my mistakes, and how you can avoid repeating it. If you’re a new subscriber you won’t miss out on any old mistakes; you’ll get every one I’ve written from the start.